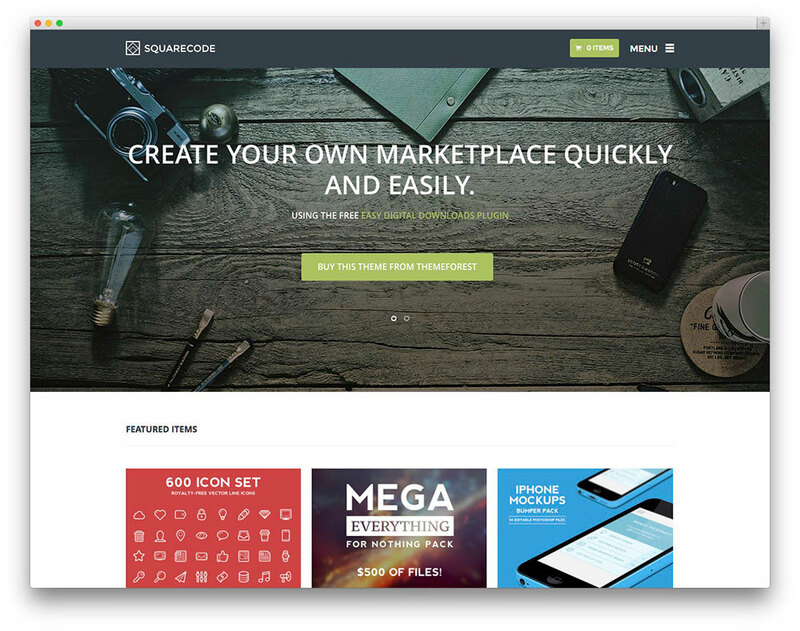 We are happy to inform that Business Hub is listed in the Best eCommerce Themes of 2016 list by the famous blog site about WordPress Colorlib.com. Among other themes, Business Hub is the only one that supports both WooCommerce and Easy Digital Downloads plugins. Those are two most popular plugins to help you sell anything online with easy setup steps and full of features. Smart Sticky Menu – This sticky menu only show up when user start to scroll up. With ON/OFF options. The most significant feature is that you have the ability to preview your site in different screen sizes, so you can check if the theme works well in mobiles or tablets. In addition, although in Tweenty Sixteen theme, you have seen the logo upload feature. However, in WordPress 4.5 this feature is added by default. Just a little change in the feature. The comment form now enforces the maximum length of each field and the Comment Moderate Screen is refined. For developers, there aren’t many changes. Backbone and Underscore libraries are updated to latest version. Embed templates are splitted into parts and the term edit page changes (wp-admin/term.php is introduced). So I guess they don’t have to update their themes much. The article is a list of methods that will help you speed up your education WordPress theme. This doesn’t include server side optimization or WordPress optimization. This is to ensure your theme is well optimized. Today, all people tend to use custom fonts on their sites. Fonts like Google fonts should be used for headings and small pieces of text and not throughout your theme’s content. The body content should be standard web font while you can make use of custom fonts for headings and sub headings. When you try to optimize the performance of your online education WordPress theme, you should make sure that there is no missing images or broken links. When the browser finds a broken link or missing image, it will look for the missing files resulting in extra CPU usage that makes your site slow. You just need to use the developer tools inside most browsers by pressing the F12 key. You also can monitor the browsers activity when the page is loaded to spot all the missing files or broken links. 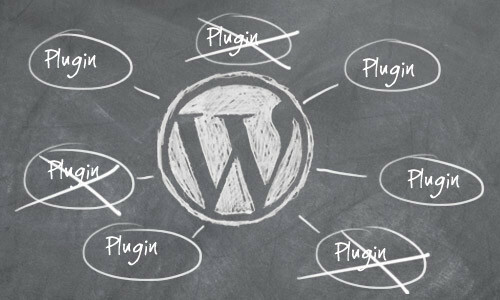 This is a common problem that relies on WordPress plugins to handle some of the functionality of your education WordPress theme. They are social sharing, image sliders and related post carousels that could bring down your website’s performance. So you should code it as most plugins rely on extra CSS and JS files. The purpose of combining multiple CSS files is to reduce the number of HTTP requests sent by the server. This means that with each CSS file used by your online education WordPress theme, a server request will be sent and we should avoid this. In order to reduce the number of HTTP requests, we should reduce the number of CSS files used inside the theme. By combining two or three CSS files into a single larger CSS file, you can reduce the number of CSS files. Another form of reducing server requests is using image sprites. Each image sprite is a collection of images out into a single larger image. So you should use image spites if there are a lot of different icons throughout your education WordPress theme. When there are too many images in a web page, it may take a long time to load and multiple server requests. The article introduces 3 best WordPress themes for video magazine. They are trending products on ThemeForest in October, 2015. BuzzBlog is one of the best WordPress themes for video blogs. 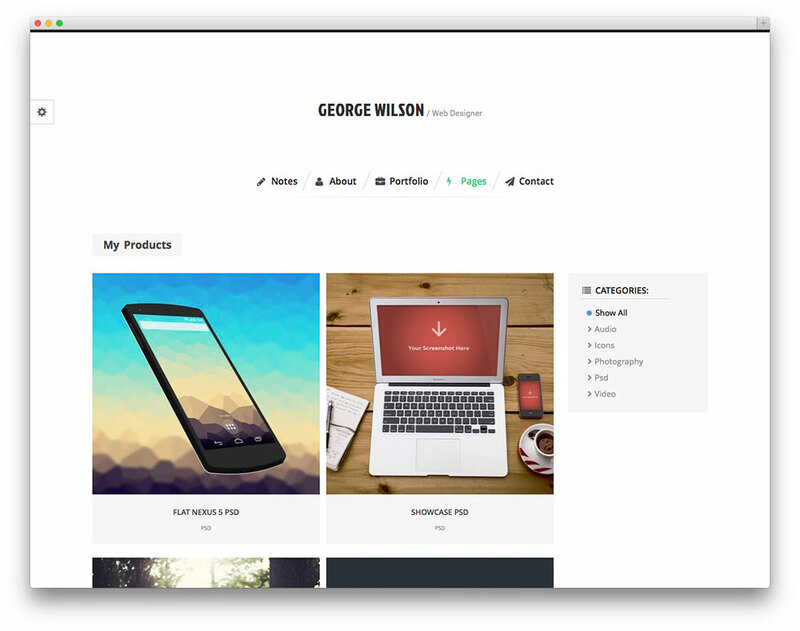 It is a simple, clean, modern and professional theme which is ideal for spreading stories. With a responsive design, it adapts to the screen of any device. The theme comes with a lot of great features, such as unlimited styles support with 11 predefined CSS styles, widget manager, header style and 15 custom page templates. Furthermore, it offers a categorized image gallery with 2,3,4,5 columns, light-box, more than 60 short-codes, and eight custom widgets. BuzzBlog also features nine post formats (Standard, Gallery Grid, Aside, Gallery Slideshow, Image, Code, Link, Video, and Audio), powerful theme options and more. 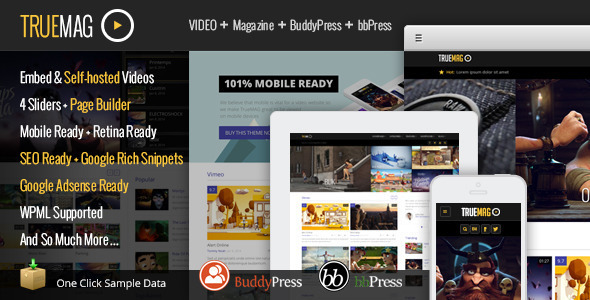 Responsive design: This is a common feature of the best WordPress themes for video magazine, including BuzzBlog. It gives your users full, intuitive site experience on all web-browsing devices, even desktops, tablets and mobiles. Powerful Admin Panel: BuzzBlog has clear and understandable tabs layout. It also comes with unlimited colors, fonts, layout types, gallery settings, import and export theme options, and more. Header styling: Each element of the theme header can be changed from its Theme Options Panel. You can choose between sticky and normal headers, and set image as header background. Besides, BuzzBlog comes with seven blog layouts, 11 predefined CSS styles, WPML support, and translation readiness. 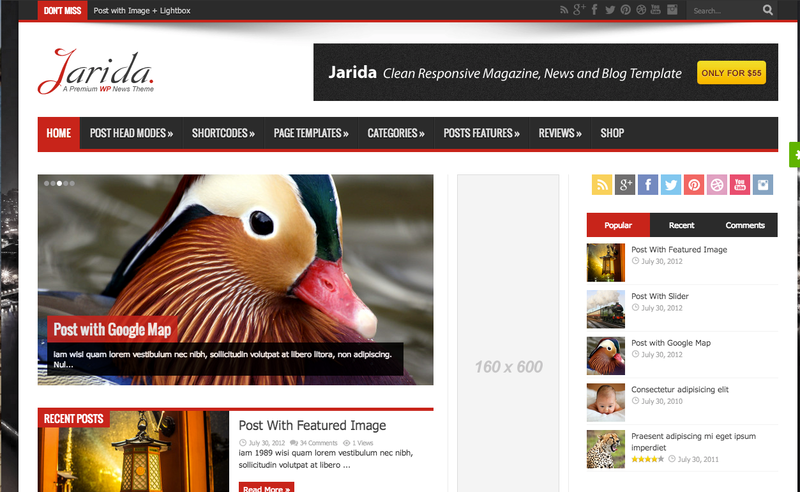 Jarida is a responsive magazine, news and blog template. It is a great solution for magazine oriented site and one of the best WordPress themes for video sites. The theme comes with a clean design and powerful backend so you can customize everything you want. A responsive design: The theme layout will adjust on any screen device, from desktop, iPad to smartphone. It is easy to turn on and off the responsive mode in the Theme Options panel. Flexible theme layout: You can choose the number of column (two or three) with Jarida. And you can easily choose from the boxed and full layouts in the Theme Options panel. Retina ready: You or your users can enjoy your site on iPad, iPhone or any retina screen device without losing any details. Translation ready: Jarida is ready to be translated into your language. Besides, it is compatible with WPML in case you need a multi-languages website. bbPress & BuddyPress: Being one of the best WordPress themes for video blogs, Jarida is fully compatible with bbPress and BuddyPress plugins. Customize your categories: You can customize your categories with Jarida by custom logo, background, color, slider and sidebar. Social counter widget: This theme includes a built-in social counter widget which grabs the latest counts of your followers from Twitter, YouTube and Instagram, etc. 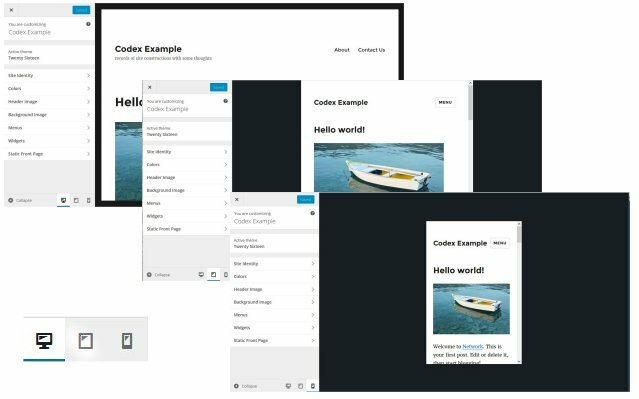 Homepage builder: Jarida includes a built-in drag and drop homepage builder which allows you to customize your homepage with nine boxes. 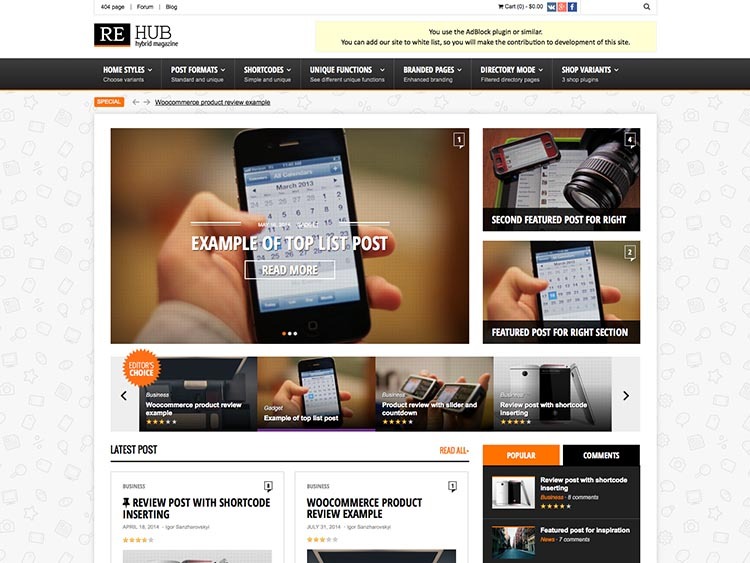 REHub is a modern theme with magazine, blog, directory, review, user generated, shop and affiliate options. It includes a lot of options for affiliate earnings, coupon and review website, and e-shops. This is also one of the best WordPress themes for video shops. MDTF plugin is bundled with extended support. This plugin allows making your site content is searchable by taxonomies and meta fields. AccessPress Post PRO is bundled with theme. This plugin adds user submit to your site. Tons unique short-codes such as: categories archive, reveal buttons, countdowns, price tables and offer lists. Since WordPress is popular and comes with a huge amount of themes and plugins, many businesses and persons are using this platform to manage their websites, where they sell multimedia products such as interactive digital television, interactive DVD movies or video games. In line with that trend, today we will review three WordPress video blog themes which allow you to easily display and sell your multimedia products on your WordPress site. Marketify is one of the modern and clean WordPress video blog themes which are suitable for you to promote and sell multimedia products online. 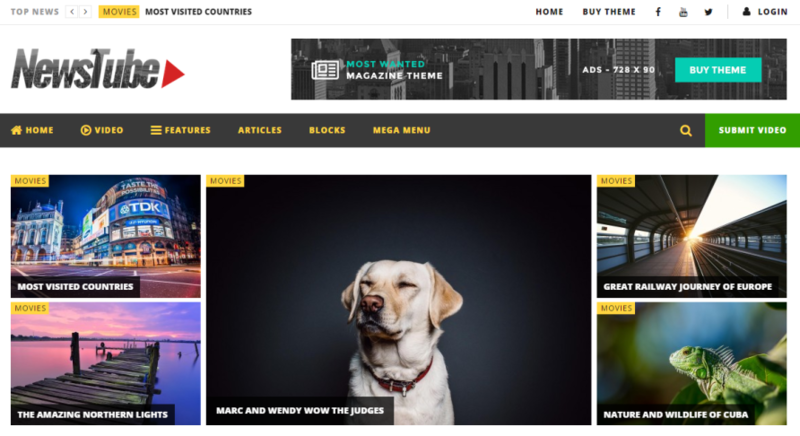 You can use this premium WordPress video blog theme in creating any type of online shop selling photographs, audio files, videos, or any other type of multimedia products. This video theme is fully responsive and mobile-friendly, so potential buyers or site visitors can access your site using computer or handheld device. 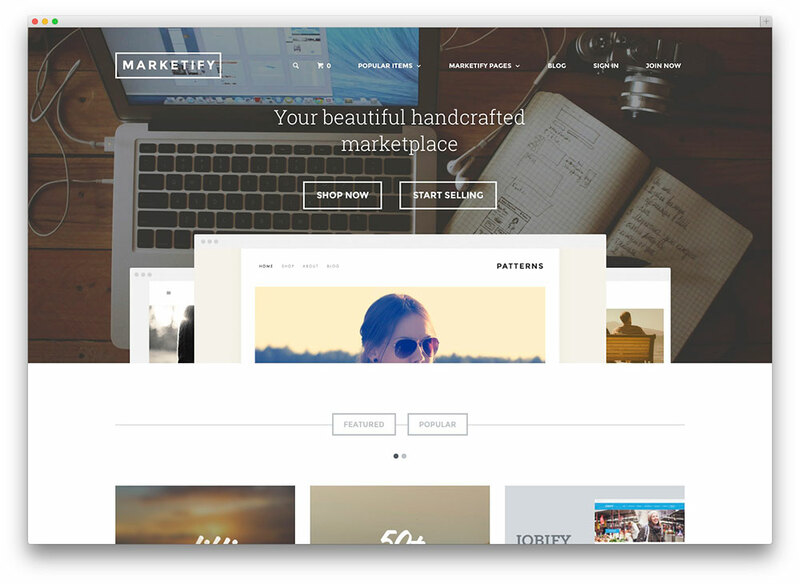 Marketify is also highly customizable, its Theme Customizer will allow you to change the font, color, background image and many other elements of the theme. Being one of the popular WordPress video blog themes on ThemeForest, it is integrated with social logins to expedite the process of website registration, and has reviews and rating feature to help potential purchasers see how other customers think about the product. Also, the theme includes audio and video previews, front end submissions, wish-list and commissions splitting for sellers. Additionally, it supports Easy Digital Downloads add-on for the full marketplace functionality. SquareCode is a premium WordPress video blog theme suitable for promoting and selling multimedia products such as videos, music, games, digital art, photos and so on. It is packed with functional features such as product price, inline Ajax cart, product information panel, sales count, preview buttons, social share links, product reviews and many more. With the full support for many add-ons of Easy Digital Downloads plugin, the theme let you easily sell multimedia products online. In addition, this theme is built with rock-solid codes and best SEO practices in mind. It also enables you to add and remove plugins. By using SquareCode, one of the great responsive WordPress video blog themes, you can easily create your own tech shop or create a multimedia marketplace. Bernate is a minimalist premium WordPress video blog theme loaded with the powerful functionalities and features necessary for setting up an online shop for multimedia products. This theme is fully responsive, so your website will look beautiful and work flawlessly on any types of mobile devices. Bernate provides you with advanced theme options such as logo options, unlimited skins and various theme styles. It allows choosing from three different portfolio project layouts and come with an advanced portfolio video player. This is also one of the WordPress video blog themes which are built with SEO practices in mind and include child theme. Responsive WordPress theme for videos – Responsive, what is it? The development in the web design world is going at a fast pace. Lately, we see a trend of responsive WordPress theme for videos popping up everywhere. Responsive? What does this mean? Are these responsive themes better than others? Should your theme be responsive? Or is it simply just another passing fad? A responsive video theme responds to the device the site is viewed. In short, by using a responsive WordPress theme for videos and images, your video site will look good on a regular PC or laptop, tablet and mobile phone, without any help from additional WordPress plugins. Previously, we do know plugins like WPtouch which makes your site fit for mobile phones. But such solutions are still somewhat limited because they are built to support one specific device: the mobile phone. Even earlier, we saw that even complete mobile websites were built, mostly by larger companies. The arrival of the responsive themes is the success for anyone to build a website that supports multiple devices. The term of responsive web design has introduced only on a few years recently. Since then, this term has rapidly become a hot topic that is followed by many people in the discussions and the applications. Responsive web design aims to give the users an optimal experience, regardless of the device that they are using. And hopefully, we do it so well that it even applies to future devices. 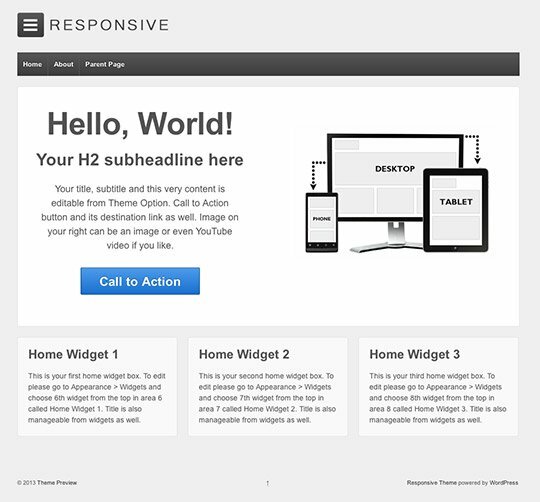 Responsive is one of the first responsive themes which are available for free on the official WordPress.org website. The theme is very popular and available in many languages. Though the structure of Responsive is quite simple, you can still use it as a simple WordPress theme for videos and images. Why Should You Choose a Responsive WordPress Theme for Videos? Opinions differ widely. The fact is that when you look at the visitors of your video website with a tool like Google Analytics, you’ll see that a lot of users who do not surf with a standard PC or laptop. About 10% of the site visitors come from mobile devices. By using a responsive WordPress theme for videos, you will not have to be worry much about the way your video website looks. So now, you do want to take advantage of this new development? Fortunately, there is a wide range of responsive WordPress theme for videos and images on the market. You can choose the right WordPress theme for videos on the websites of reputable theme providers or marketplaces such as ThemeForest, Mojo Themes and Creative Market. Of course, if you do not want to buy a commercial WordPress theme for videos, you can also choose a free one. The matter is what you do after that. Hope you are successful with your project. Enjoy! 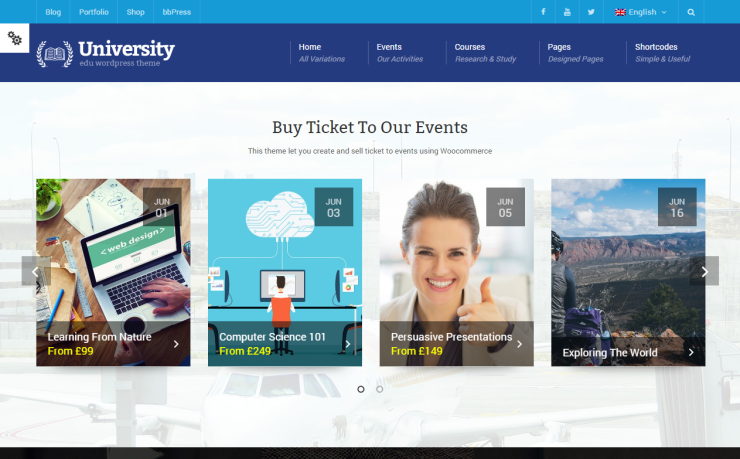 How Should We Develop Specialty WordPress Themes for Education? Accompany with the popularity of WordPress platform, the number of WordPress themes and plugin also gain considerable fame in the market. The theme purchasers now have various choices for their websites. However, sometimes a general or multipurpose theme will not work for your project. In that case, you need a specialty theme whose design and functionality work together and fit your specific purpose. There are a lot of different specialty themes for WordPress. But in the scope of this writing, we only take a look at WordPress themes for education. In particular, we will point out a few things you should consider when making specialty WordPress themes for education website. Hopefully it will help you who are new in the theme development. How should we build specialty WordPress themes for education? If you decide to develop a specialty theme for education field, you might want to consider the following things. Filters and actions are part of the WordPress Plugin API; however, it does not mean that WordPress themes for education website cannot benefit from them. Currently, most of the popular WordPress theme frameworks use filters and actions in order that other developers are able to extend the frameworks. You can also follow their guidelines and make your education theme extendable with those hooks. If you want to diversify your theme’s design options, then make it ready for child themes. Build your base education theme and create child themes to provide users with different designs. If you feel that other WordPress themes for education are able to benefit from a part of your theme’s functionality, you should offer it as a plugin and require your users to install by using a PHP library. Though in most cases, the functionalities of specialty themes cannot be used with any other theme, you should keep in mind that other developers may build themes after you release your specialty theme. So, it is necessary to separate your theme’s functionality from its design. There are many popular specialty WordPress themes for education website on the Internet. And the following are some of them. You can easily find out these WordPress themes for education by visiting ThemeForest marketplace and go for WordPress > Education category. If you have any question about this topic, please leave your comments below. Also, share this post with your friends if you like it. Buying a premium responsive video theme for WordPress is usually safer than using a free one. However, that does not mean you cannot still go wrong. To end up with the right premium responsive video sharing theme and not just an expensive mistake, you should follow the guidelines below. Select a video theme whose price stay balance with your actual income. In other words, you should estimate the revenue can be generated through your purchased theme. This is a note for both businesses and freelancers: get the responsive video theme you need and make sure you are generating enough revenue to justify it. Only purchase the responsive video sharing theme of the most reputable WordPress authors or marketplaces. There are a lot of theme authors out there who do not care about their products’ quality; instead, they just care about sales. Avoid falling for persuasive copy or ads. You should read the purchasers’ reviews and comments, and choose an author/marketplace with a great track record for excellence. Also, you need to check for their business vital signs to ensure that they are active. Check out the theme author’ support system to ensure that it meets your needs. Every premium responsive video theme comes with the author’s support. However, not all support teams are good enough to satisfy your demands. You should find the one with a good reputation for customer satisfaction. There is nothing worse than waiting around while your support ticket is unnoticed for days. Choose a responsive video sharing theme that matches your content. In particular, you need to determine which post formats you want to publish on your website, how many columns your site layout will have, whether you need an image slider or not, and many more. Finally, select a responsive video theme with portability in mind. This is very important. Do not let yourself get trapped by features which cannot be ported to other themes. If you are forced to switch to another theme, then you will encounter a big problem. Here are two of popular responsive WordPress video themes in 2015. Just experience their demos and pick the right one or get ideas for your video websites. True Mag is a modern and clean WordPress theme for video blog, video portfolio and magazine. This responsive video theme is built with the best practices of UI, UX and SEO. It also comes with great features for videos: Built-in Video Ads plugin, Video Short-codes, Video Auto Play, Front-end Video Submission and Self-hosted Video Support. This is a clean and fully responsive theme for blogs, online magazines and video websites. It comes with flexible layouts and extensive Theme Options panel. The responsive video theme also supports videos from popular video sharing sites such as YouTube and Vimeo. NewsTube allows you to create great video playlists and channels, as well as your users to submit videos from front-end. © 2015-2017 CactusThemes.com. All Rights Reserved.